It’s the combination of COLONNA 300 and motor SEM 32, SEADRILL 300 is a drilling machine suitable for drilling up to 300 mm diameter. By assembling the supplied spacer, you can keep the same technical features of Seadrill 250. 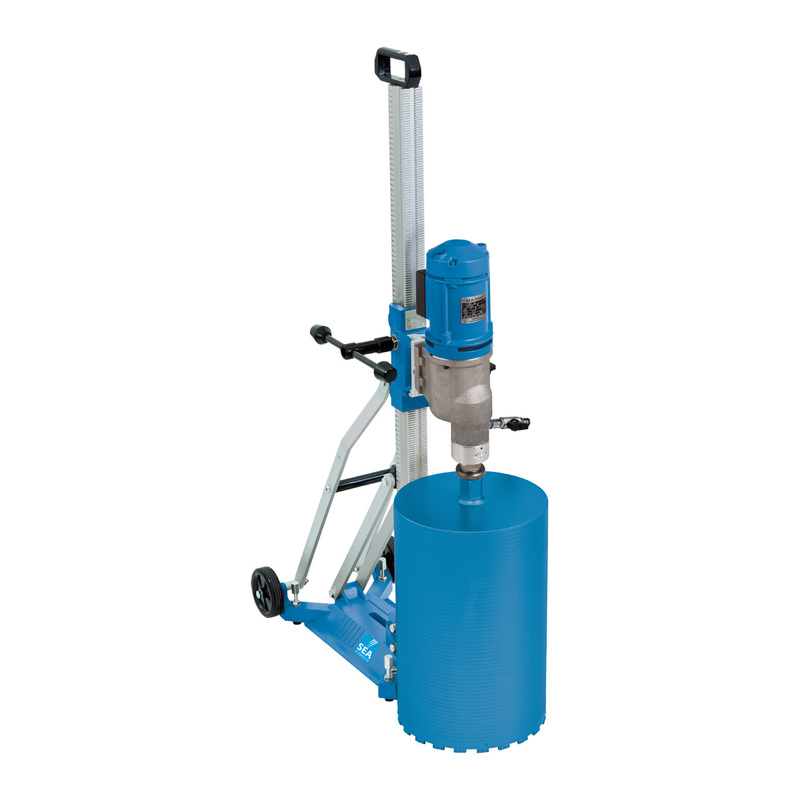 The stand is higher and slantable up to 45° making it ideal for continuous drilling.